I-26 West To Exit #40 (Asheville Airport Exit) Turn Rt. Off Of Exit To Rt. On Rockwood Road Which Will Turn Into Underwood Road. 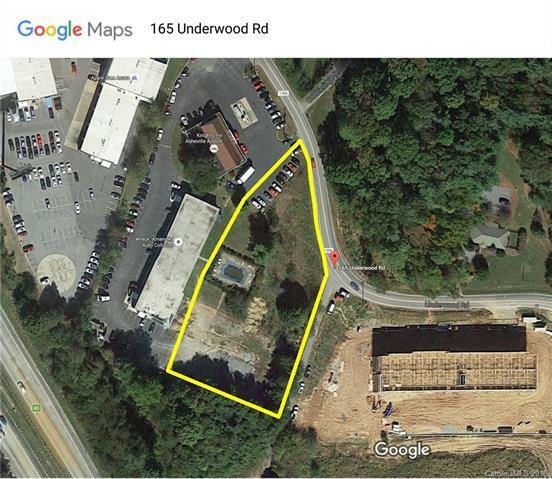 Property On Right Close to the New Wyndham Development, just Past Knights Inn, next to Wreck-Amended Auto Collision. See Sign. Great Open And Level 1.66 AC Parcel In An Area Of Extreme Commercial Growth. Close To Asheville Airport And New Target Complex. Zoned C-2fl. Ideal For Many Uses. Good Interstate Visibility And Signage Potential.Site is restricted against hotel use.